I wouldn’t want anyone to get too excited and think that I have added Italian to my extensive repertoire of (one) language! I have to thank one of my colleagues at Ontonix for the translation of this article from Harvard Business Review, Italy. The author – whose Linkedin profile can be accessed from the link in his name (below) – is not a member of the Ontonix team but is extremely well qualified to put forward an informed opinion. The article is not, exclusively, about Japan or Supply Chains. 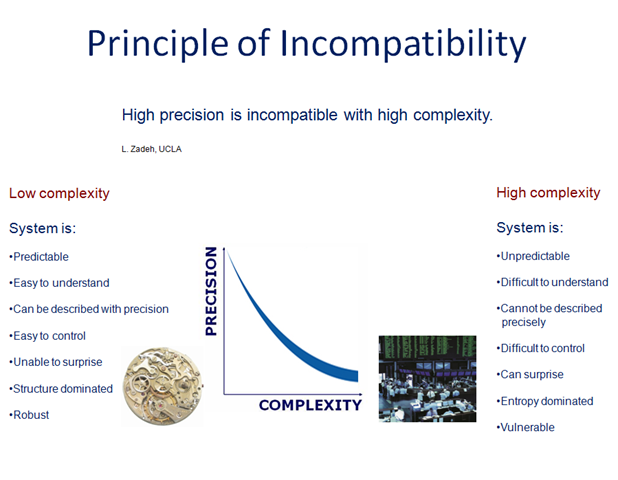 Nor is it about just about Ontonix but it IS about gaining some understanding of complexity: what it is; why it cannot be detected by conventional risk management; how it can impact and why ignorance can’t really be an excuse. 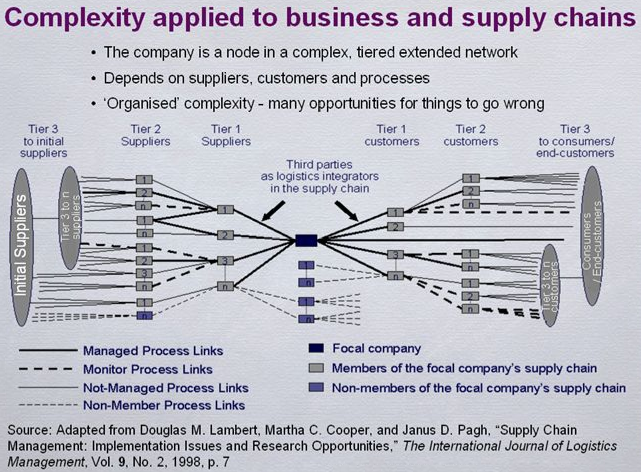 Complexity IS a pretty abstract concept to most people BUT that does not mean that it can be ignored. Nor does it mean that it is, therefore, hugely expensive to deal with. Unfortunately it does mean that it can be very difficult to get the message across without confusing, boring or intimidating the listener! In fairness we fully understand that there aren’t too many business people who readily accept that WE can tell THEM much more about the health of their business by analysing the type of financial data that they (or their Accountant) regularly use to measure its performance. But, in truth, that is the very least that we do. Our focus is not upon WHAT the business has achieved in the last period and to use previous periods (or competitors) the yardstick. We…and we are sure that MOST business people, given the option…want to know HOW the business has achieved its results. WHERE it is working well, HOW financially robust its structure is and areas that give “cause for concern”. Enough from me! Please take the time to view the webinar and listen to my colleagues explain in more detail just what it is that we can do to help, even the smallest, companies. As an executive you are always overloaded with information. If there were only 3 things you could keep on the top of your mind at any given point of time, what would they be? In a marketplace of increasing complexity, how about knowing exactly how sustainable your business is today? We don’t mean “knowing” in a warm, fuzzy sense, but actual, hard numbers that tell you how robust your business is. Secondly, how about also knowing which factors in your business need immediate attention to ensure/improve the sustainability of your business? Finally, how about also knowing the complexity of your business, your industry and your competition? Enormous cost of IT failure: $500 bn per month – complexity often cited as culprit! In a recent whitepaper titled “IT complexity: Danger or Opportunity,” Roger Sessions calculates that each year the U.S. loses $1.3 trillion to IT failures. Worldwide it equates to $500 billion per month or $6.18 trillion. Sessions says the culprit is almost certainly IT complexity. Problem: there aren’t many companies ready, willing or able to invest the kind of money required to replace existing systems. Answer: monitoring and maintenance…but who (in their right mind) doesn’t already do this? In the following example we refer to monitoring an IT system within a banking environment. Often, due to a mish mash of legacy and bespoke systems, amongst the most complex and, therefore, vulnerable. At the other end of the spectrum lie systems associated with Call Centres (link). Experience: Major Polish telecommunications providers turn to Ontonix – Polkomtel acquires licenses of OntoSpace and OntoDyn. Real-time Monitoring of IT Systems (Bank) IT systems in banks are extremely complex dynamical systems, composed of disparate hardware platforms, disk, routers, software applications, and are accessible by the bank’s customers via the internet. Clearly, the correct operation of a bank’s IT infrastructure is of vital importance. Real-time monitoring of the complexity (and fragility) of a large IT system may be used to issue early warnings to the system’s managers, helping intervene before the systems reaches a state of crisis. The following graphic is not specific to IT or telecoms. systems but highlights some of the consistent and verifiable results of our unique research into system complexity. Our technology is in use in a wide range of sectors including Banking, Mining, Medical research, Healthcare and Air traffic control to Computer aided design and petrochemical manufacturing.